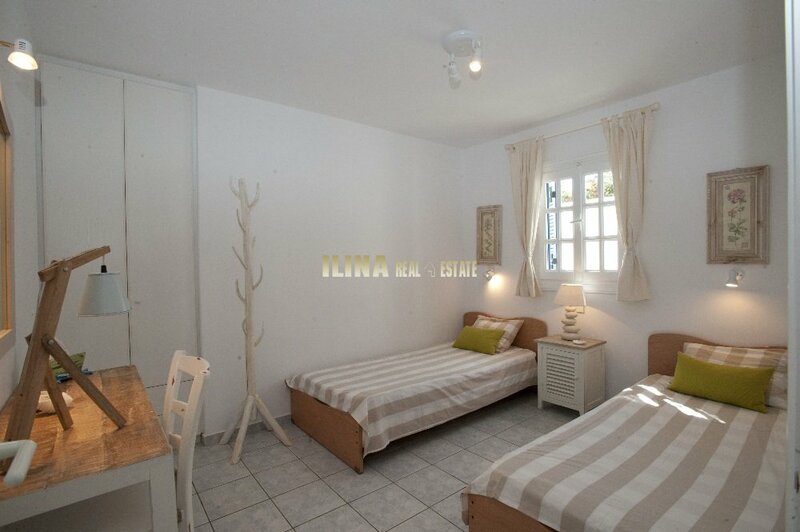 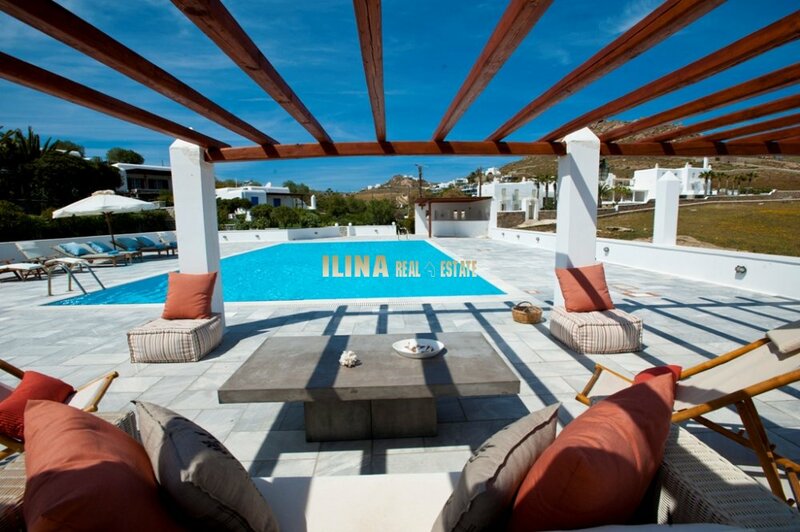 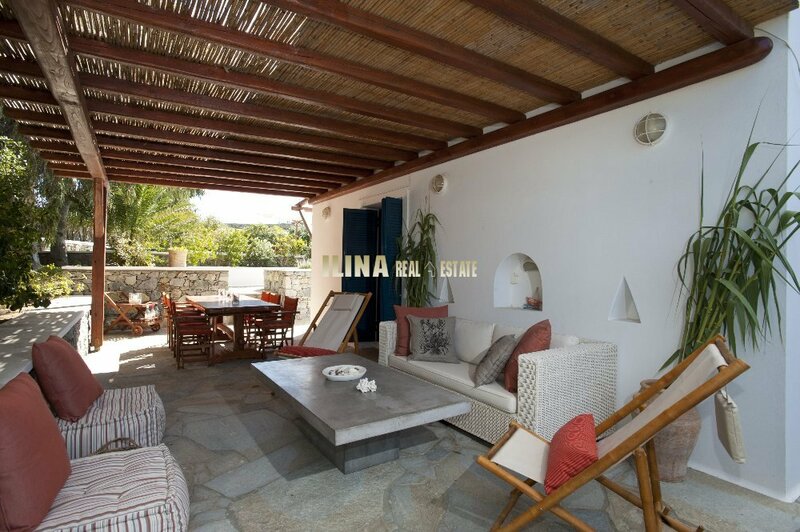 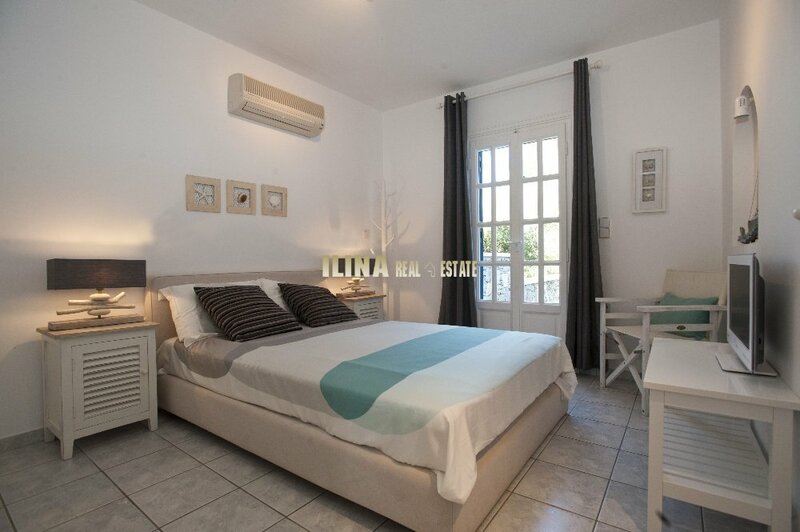 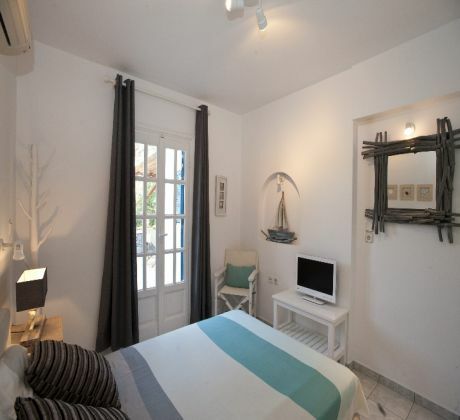 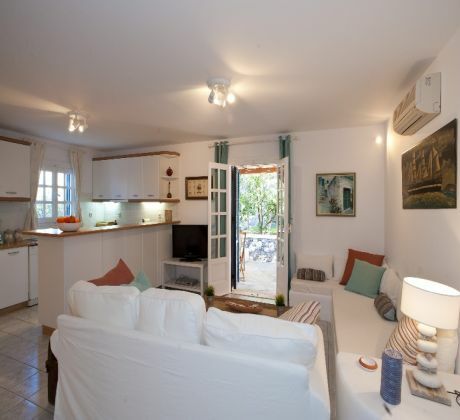 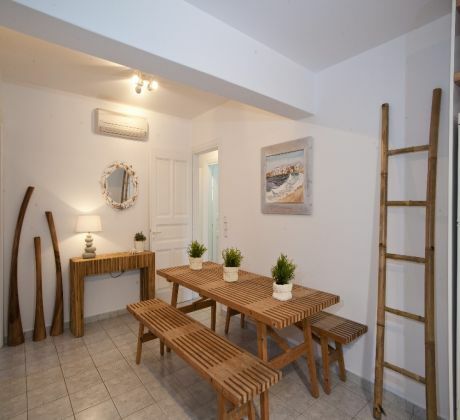 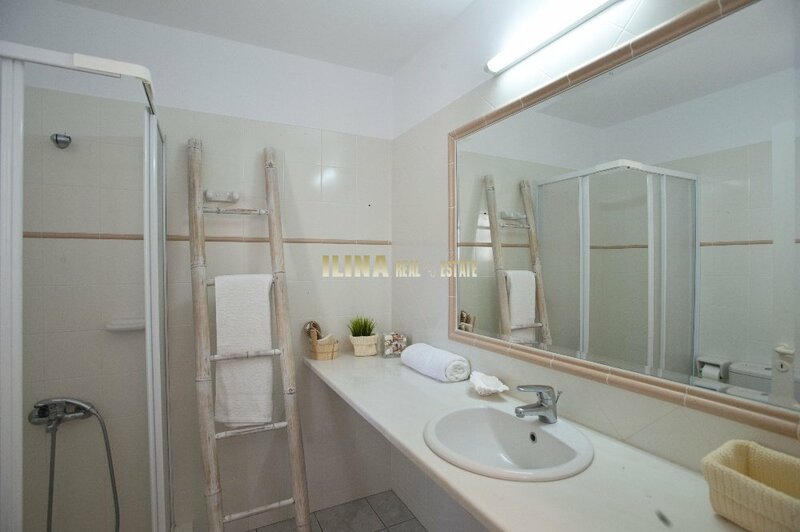 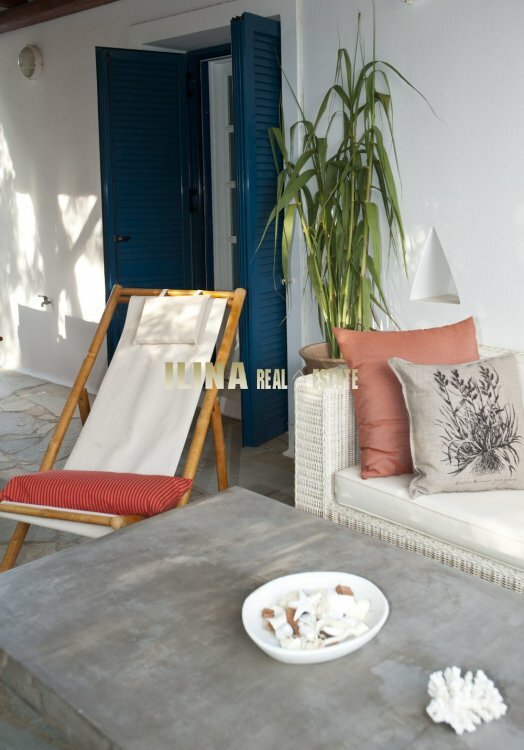 Ilina Real Estate :: Ground floor villa for rental in Mykonos, 140 sq.m. 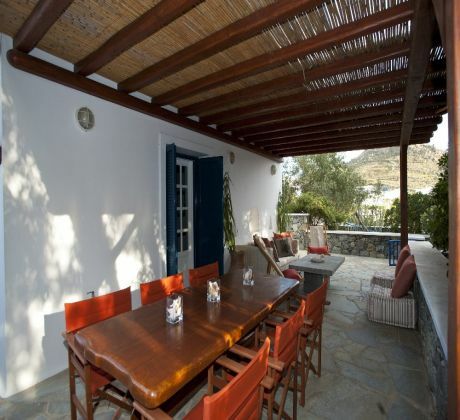 ID: BMG00012-E Ground floor villa for rental in Mykonos, 140 sq.m. 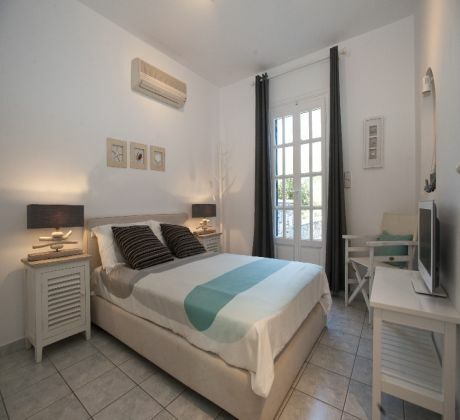 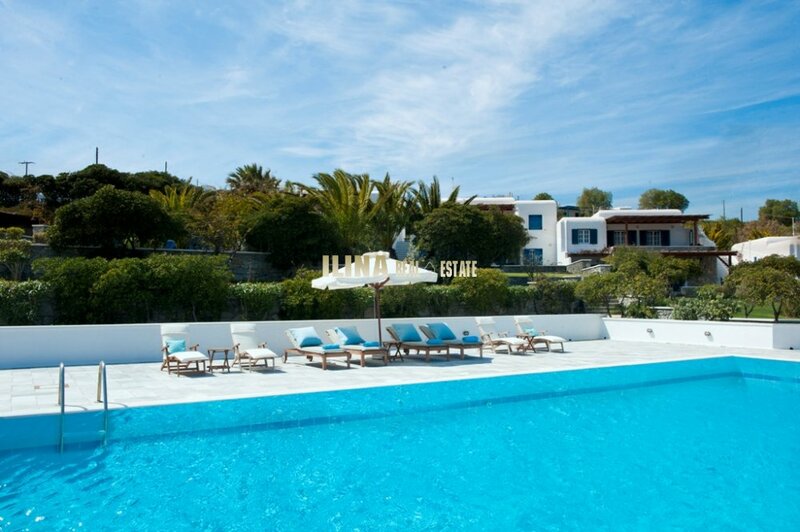 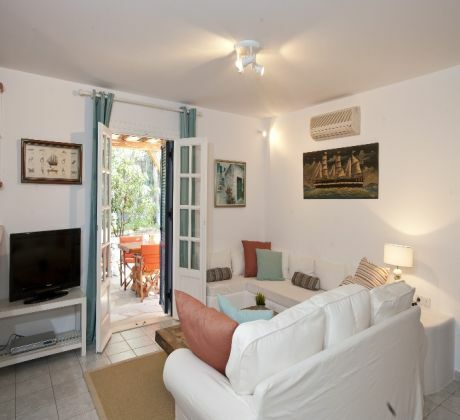 The Villa is developed on the ground floor, has 3 bedrooms, 2 bathrooms and shared private pool with another Villa of 72 sq.m in a beautifully landscaped area. 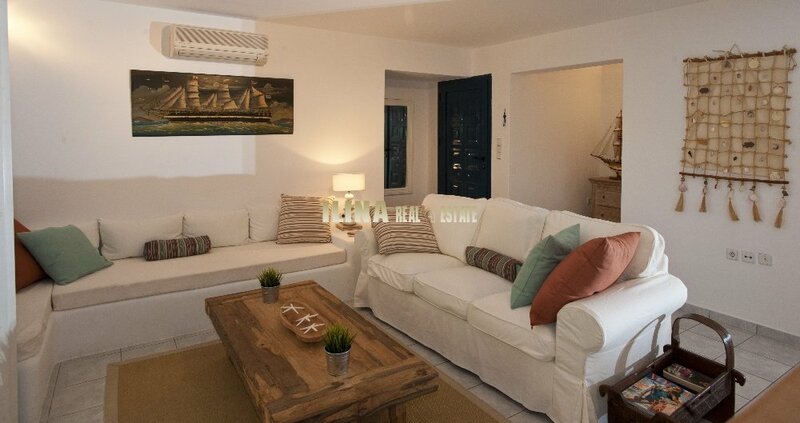 It has a large living room for 8 people with TV 40 '', dvd, home Cinema, etc. 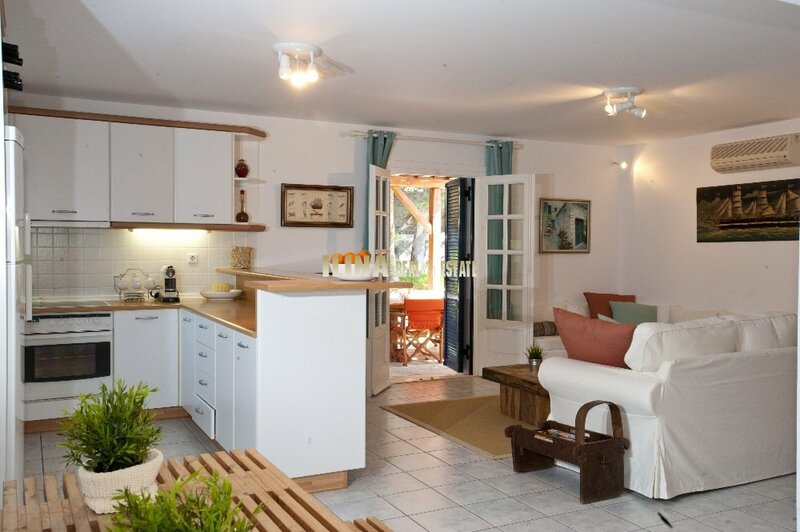 It also has a comfortable dining room with 8 seats and a fully equipped kitchen. 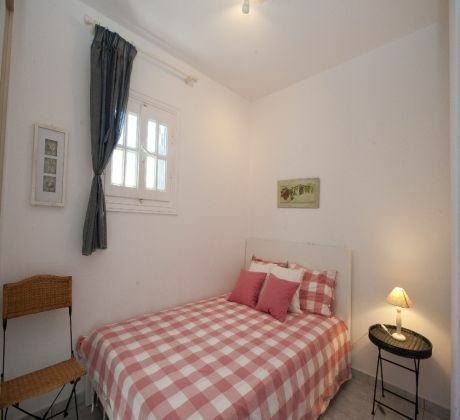 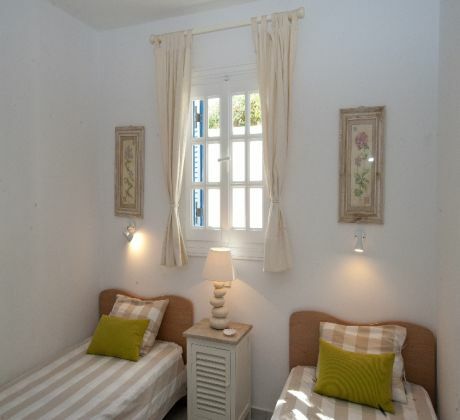 There are 3 beautifully decorated bedrooms, the one with 2 single beds and the other two with double beds. 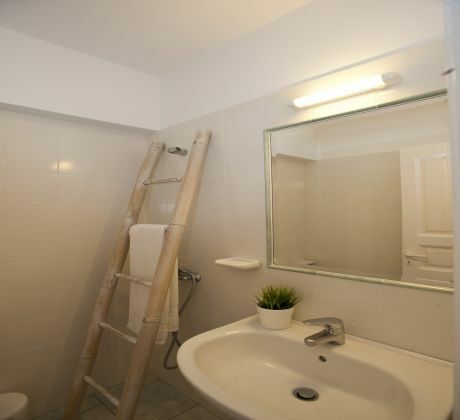 There are also 2 bathrooms. Outside a large lounge and a cozy dining room overlooking the garden and with direct access to the private pool, create a sense of relaxation > and wellness.